Many of you spoke, and I listened, so I will be bringing this event to you no matter where you are in the world! *NEW* for the first time, this event is being offered in your virtual “living Room” via live stream. 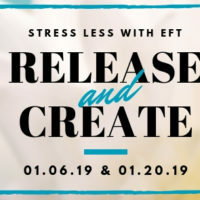 Be the first to review “Release and Create 2019 – In Person” Click here to cancel reply.